Ok, this picture does NOT do these biscuits justice! A am still learning out to use my camera (I have had it for over a year) and my new lens (Nikon 50mm f/1.8G AF-S). I took a “lesson” on how to use my camera from a local photographer about 3 weeks ago and WOW, I learned so much and I realized I knew so little! I am still trying to figure out “aperture” and “white balance” and such (these are new terms to me by the way). I have a long way to go to produce Martha Stewart quality pictures, but I am on my way! Just take my word on this recipe, it’s delicious! My photography may be hit and miss but this recipe is TOTALLY on point! 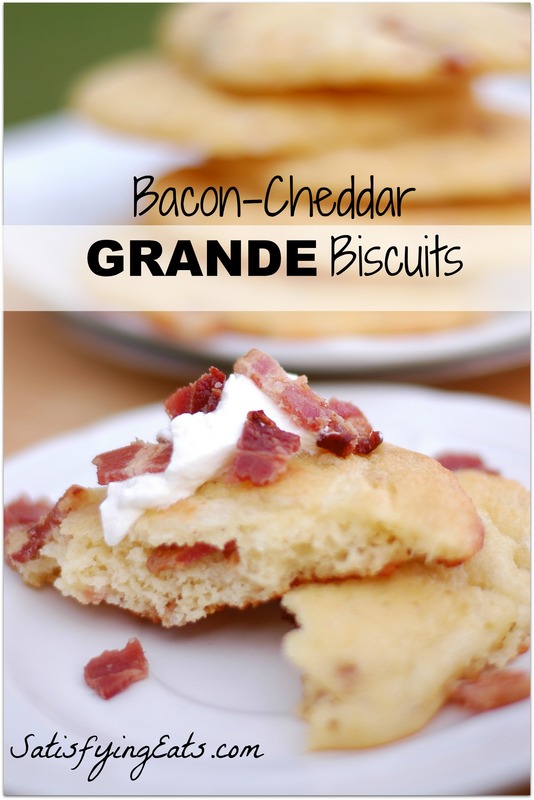 Even though these biscuits don’t look big in the photos, the GRANDE in the title is there for a reason. These are BIG biscuits! 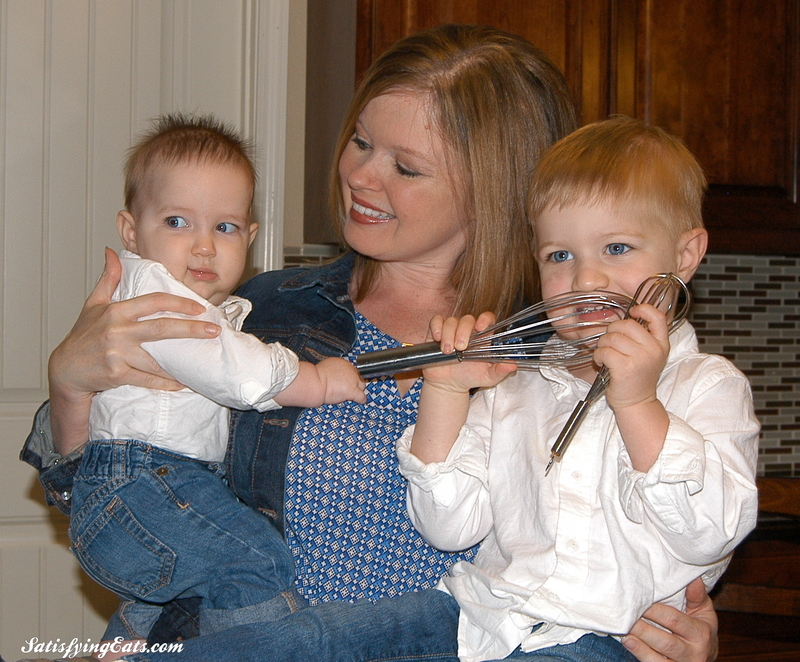 My favorite part about blogging has been sharing my recipes. The picture-taking has sometimes been chore due to the fact I have to keep food away from my 2-year-old and hungry dogs while staging the shot. The things I do to TRY to get a good picture! Anyway, when I make these again, and it won’t be long, I’ll try to make these biscuits look as good as they taste! 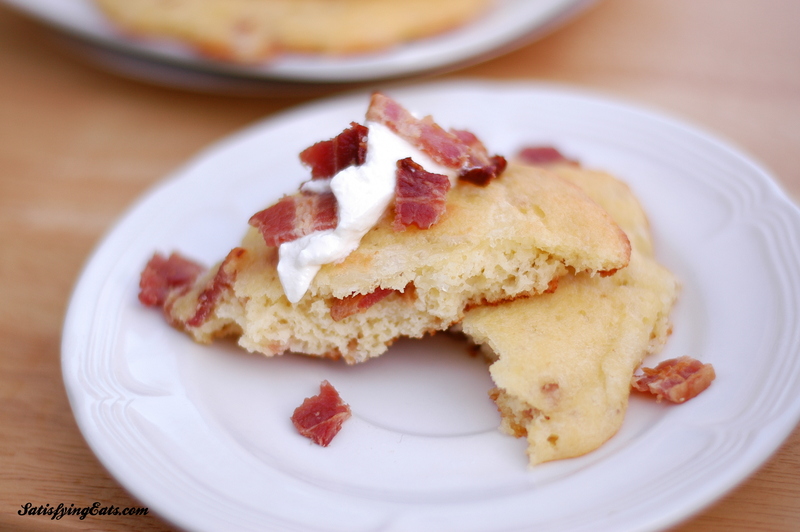 For those bacon and/or cheese lovers out there, you are going to LOVE these biscuits! I am not about to confess how many of these I have eaten over the past day. I will however say that they made a wonderful evening snack, a yummy breakfast, and they went well my chicken for lunch! These are a spin-off of my Better than Red Lobster Biscuits that everyone loved! I added less coconut flour and more cheese. I also made them bigger so that they could easily be popped into your toaster. Using a toaster to reheat these biscuits makes them taste like they came out of the oven. These would be great for breakfast, at home or on-the-go. Also, use these bisuits as buns for a juicy hamburger. Feel free to use a smaller scoop for a smaller biscuit, just be sure to reduce the cooking time. Oh, and be sure to make a double batch and stash some in the freezer. 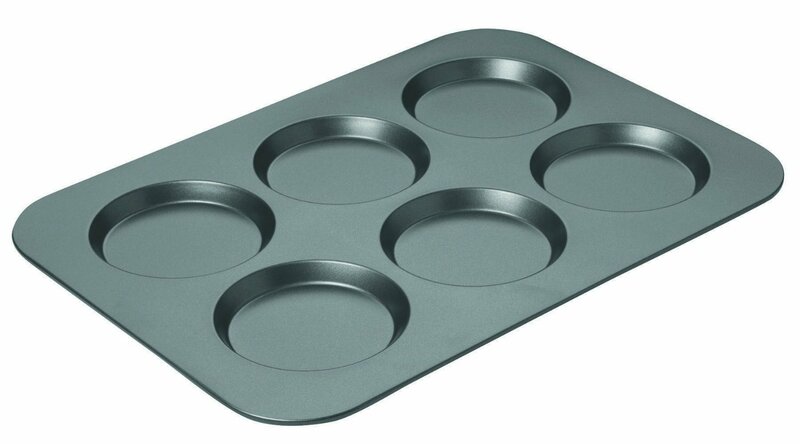 I also LOVE my muffin top pans, I have 3! I use these pans to make my Tasty Sandwich Bun (from the cookbook), scones, whoppie pies (with any of my cake recipes) and now, these yummy Bacon-Cheddar Biscuits! The pans give these biscuits or any other baked good their defined shape. You can use a parchment lined cookie sheet, but they will be bigger and thinner biscuits. Also, substitute REAL Greek Yogurt for the sour cream. This is a great way to add some protein. Don’t have bacon?? Feel free to use ham or even leftover chicken. Even add your favorite dried herbs! Debij, I have one in my first cookbook! It’s getting that season again! Love all your bread recipes! After being diagnosed with celiac disease, I thought I’d never have good tasting bread again. But thanks to your wonderful recipes I am in heaven. So good & so easy to make too. I have these in the oven now. Substituted coconut milk, canned, for sour cream as I dd not have any. 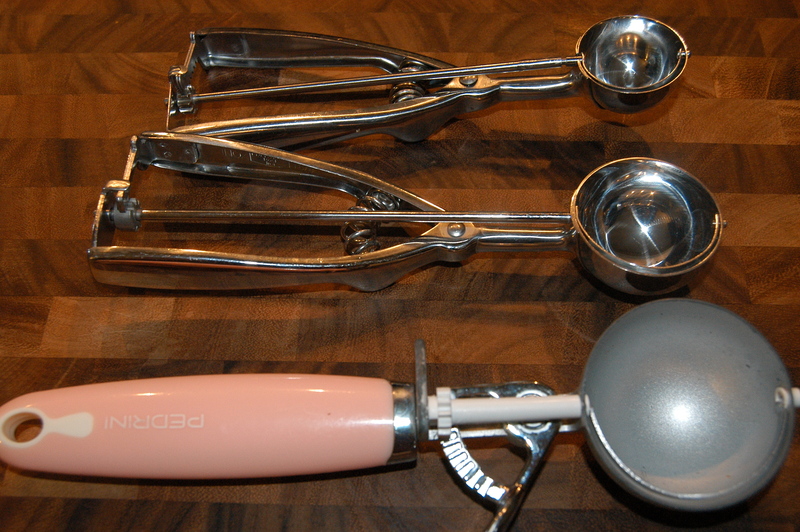 Also got 15 biscuits using a #60 scoop with 2 scoops per muffin tin. Will let you know how they turn out. Thanks for the recipe. . Opps!!!! I did not see that you used a muffin top pan!!!!. Am baking mine in regular muffin pans. Just turned them and they look awesome. Thanks. Do you think these could be made using crumbled, cooked & drained breakfast sausage? The bacon version is outstanding! Barbara, yes indeed. I am making some today with seasoned ground beef for a burger in a bun try thing! The heavenly cupcakes have the perfect cake/bread-like texture. Any way to use all coconut flour to achieve a similar texture for the bisquits, too? Cynthia, coconut flour only recipes will have a slightly different texture. Have you considered using ground sunflower seeds in the place of almond flour to make them nut-free?? Can I use bacon fat instead of butter? And buttermilk instead of sour cream?